As I write this I am 27 days away from graduating with my Masters degree in Negotiation and Conflict Resolution. I have spent the last 199 days on a practicum for my degree rooted in the desire to usher in a new generation of conflict competent young people. 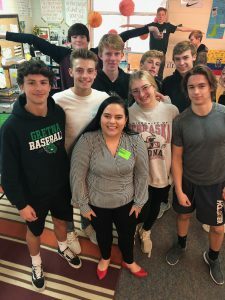 Throughout October and November I spent time in the classroom with high school students in the Omaha metro area presenting information about how to engage in the “difficult conversations” we dance around in our lives. The opportunity to work with students has opened up major reflections of how communicating, conversations, conflict, and connection ties into my professional life. What does a difficult conversation look like? Of course, a difficult conversation can be about politics, religion, gender, or class. Difficult conversations can also take the fluid form of being about feelings, memories, needs, or interests. The same sort of uneasiness that we feel discussing politics at the table during Thanksgiving can be felt when we want to ask our boss for a pay increase. It can also be felt when we tell our coworkers we are displeased with their actions or deliver bad news to our customers. The point is that what often is the most difficult in these conversations is not necessarily the subject matter, it is the interaction itself. Our avoidance of communicating or our failure to appropriately communicate or the mismanagement of our feelings can have terrible implications in our lives, and within our organizations. Why do difficult conversations matter? As I reflect on my time spent with Celebrity Staff (1229 days) I think about how many difficult conversations I have witnessed in the human resources, staffing, and hiring space. Job seekers can often bring raw emotions like fear, apprehension, and grief into interviews for Recruiters to sift through and find direction. Coaching candidates and clients cultivates everything from trust to annoyance and anger. Waiting for interview feedback is a time of anticipation, self-doubt, and optimism. Being a part of offering someone a job and helping them achieve their professional goals is a time of joy for all parties. Conversely being a part of letting people go or downsizing can be a time of disappointment and sadness. Most of these multidimensional conversations happen simultaneously within the span of a single business day. Then everyone goes home to dive into another layer of difficult conversations in their personal lives. It is ceaseless work. What are the rewards of all of that work? The work I just mentioned does not mean that my coworkers, myself, or our management team have unlocked THE secret for successful communication or perfected emotional literacy. It does not work like that. In fact, if I have learned anything it is that practicing the skill of navigating difficult conversations demands daily practice. However, possessing effective communication skills and empowering the people around you to engage in difficult conversations is an instrumental element of giving people the opportunity to connect. Difficult conversations are likely to always be a challenge but reducing the unproductive feelings associated with them is a worthwhile endeavor. Just like there are only so many hours each day, there is only so much energy we have to offer. It seems silly to expend energy on the fruitless projects of anxiety and unhappiness when we know there is a world of alternatives. Finding the purpose of the conversations we participate in, is the very first step. Are we having the conversation because we are hoping to be heard? Are we pursuing what is “fair”? Are we having the conversation from a safe distance? Are we hoping to negatively or positively impact someone? SO MANY QUESTIONS TO ASK! We owe it ourselves and others to ask ourselves these questions before participating in a difficult conversation because we owe it to ourselves to be intentional with our words. How does purpose help me? The mismanaged emotions that fuel mishandled difficult conversations have had consequences from lawsuits and scandals that resulted in corporate demise to all out international conflict. Understanding where we want to land the conversation plane before we even take off is vital. Learning conversations focus on getting people to communicate with us versus communicating to people. In this framework difficult interactions go from being quests of persuasion to mutual understanding. In my humble opinion this is a much more productive use of the limited energy reserves we all possess. This sets us up to connect with one another. This sets us up to problem solve together. The good news is that as humans it is impossible to be perfect communicators. Which means for the rest of our lives we will have ample opportunities to improve our skills. The best news is that as we strive to be the best versions of ourselves as individuals we automatically make the institutions and organizations we belong to better. My hope is that we pause to figure out purpose before we seek impact and that we all pursue learning conversations. Now, more than ever my hope is that we seek connection through communication. Doing fieldwork with a small group of students. Kate began her career at Celebrity Staff in 2015. 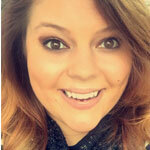 She currently works as Celebrity Staff’s Social Media Strategist (and loves it). Kate attended the University of Nebraska – Omaha and graduated in 2015 with her Bachelor of Science degree in Political Science with a Concentration in Foreign and National Security Affairs. She is currently pursuing her Master of Science degree in Negotiation and Conflict Resolution (M.S NCR) from Creighton University School of Law’s Werner Institute. Outside of her commitments with work and school, she enjoys surrounding herself with her friends, family, and traveling.